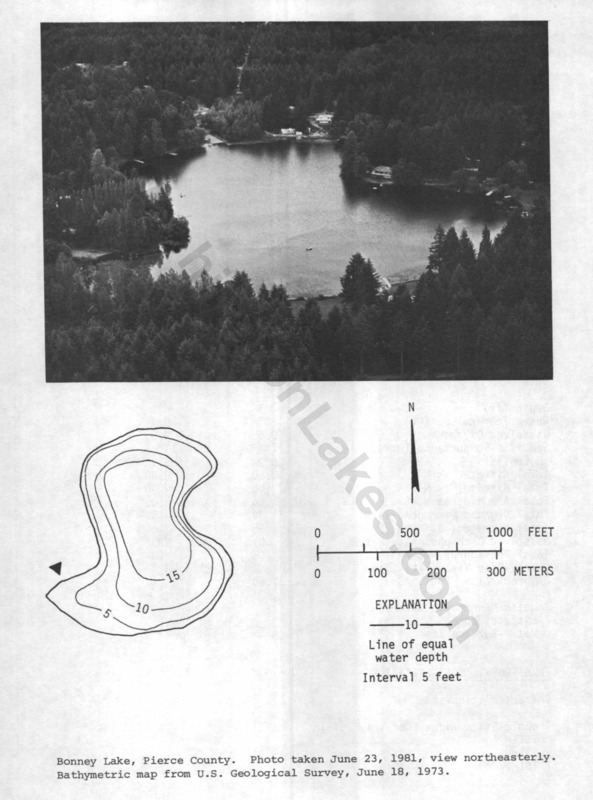 Pierce County's Bonney Lake covers 17 surface acres and has a maximum depth of 23 feet. Fish species include largemouth bass, rock bass, yellow perch, pumpkinseed sun-fish, brown bullhead catfish and planted rainbow trout. Prime bass habitat includes pad fields, some overhanging trees and brush, old logs and wood in the water, cattails and some private docks. Tall cottonwood trees put a lot of cotton on this beautiful little lake during the spring and yellow water irises put a lot of color on the shoreline.